A few more experiments with the stitch, colours and textures were done on this sampler today. after completing these, the piece was outlined with running stitch. A set of three bullion Vandyke in different widths were worked with variegated thread. The bullion was worked at the starting point of the stitch in dark green thread. This idea was on my mind, but never thought it could work. 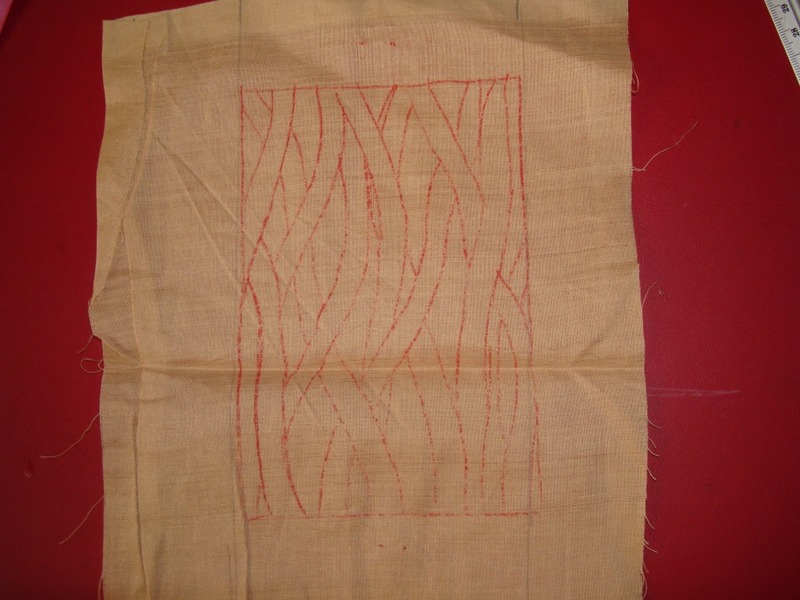 I alternated the original bullion Vandyke stitch with bullion[starting point] Vandyke stitch in light orange skein. This looks like bullion cretan stitch worked over cretan stitches. 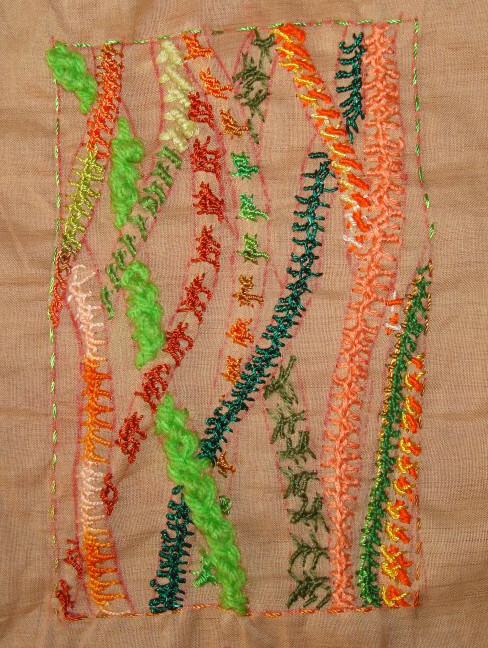 The stitches are worked horizontally in green perle cotton between the next parallel lines. Bullion Vandyke stitch worked in green thread is whipped with variegated thread on the plain side. 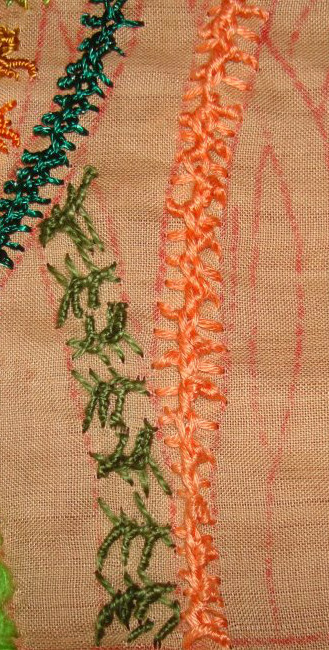 Reverse bullion Vandyke stitches are worked in two colours [orange and yellow]. This variation also was interesting. This design, colour, stitch sampler is completed. I am wishing to continue these studies in stitch, colour and texture on my future projects too. The working of this week’s TAST challenge stitch is on SharonB’s blog. This week I am trying to combine the colour and texture study of this stitch on my piece. For this parallel lines are drawn on the fabric. Starting in variegated thread [polyester] the bullion Vandyke stitch worked as shown on Sharon’s blog. The long and short version is alternated in shaded orange thread [perle]. Basic Vandyke stitch and bullion Vandyke stitch are alternated in light green wool. Single bullion Vandyke stitches are worked in cotton skein in two shades of green. Set of three Vandyke stitches are worked in copper polyester thread.